RCP Charities was established in 1992 as an opportunity for our organization to give something back to the community. 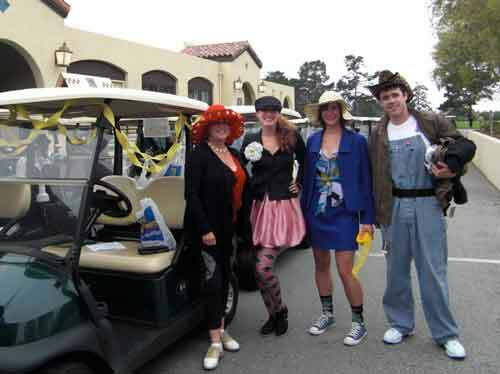 The 1993 Stuntman's Scramble Charity Golf Tournament was our first event. The intent was for friends to get together, play golf in Carmel and raise a few bucks for charity. Since it's inception, our annual "Caddyshack" style golf tournament has raised thousands of dollars for many good causes. We donate to the Stanford's Childrens Hospital, humans fighting Cancer, education funds and ALS (LouGehrigs Disease). We are involved with many charitable projects, yet our main event every year is the Stuntman's Scramble Golf Tournament. Each year we strive to maintain the initial intent of raising a few dollars while having a fun weekend with friends and family.